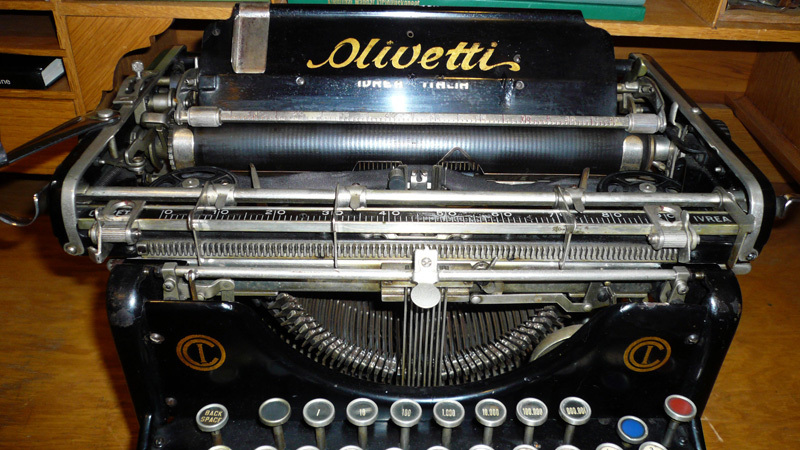 When Camillo Olivetti came back from his trip to United States in 1908 he probably had ideas and preliminary drawings for a typewriter. In the same year he made a second trip to USA, in order to familiarize with the production methods of typewriters. In 1909 he founded the company Ing. 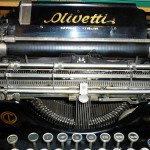 C.Olivetti & Co. 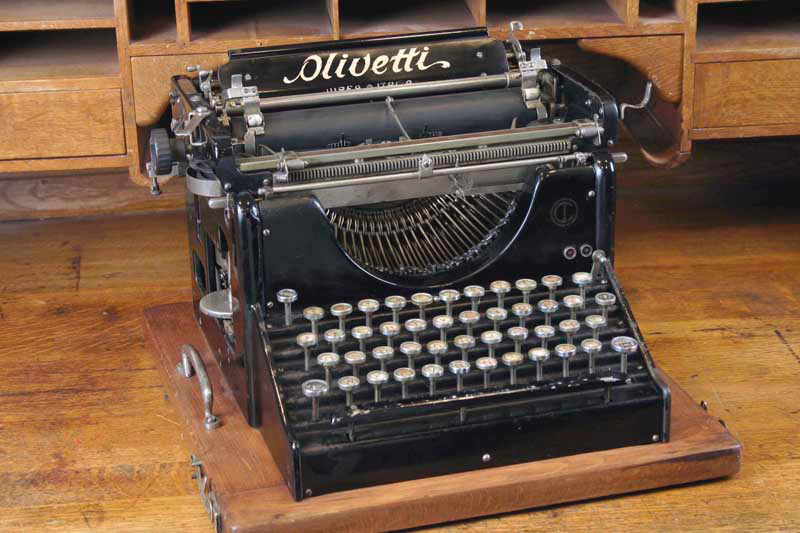 The first Olivetti typewriter the M1 was introduced at the Word Fair in Turin in 1911. 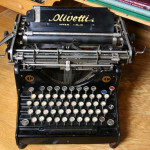 In the same year the company got the first big order of 100 typewriters from the Italian Navy. 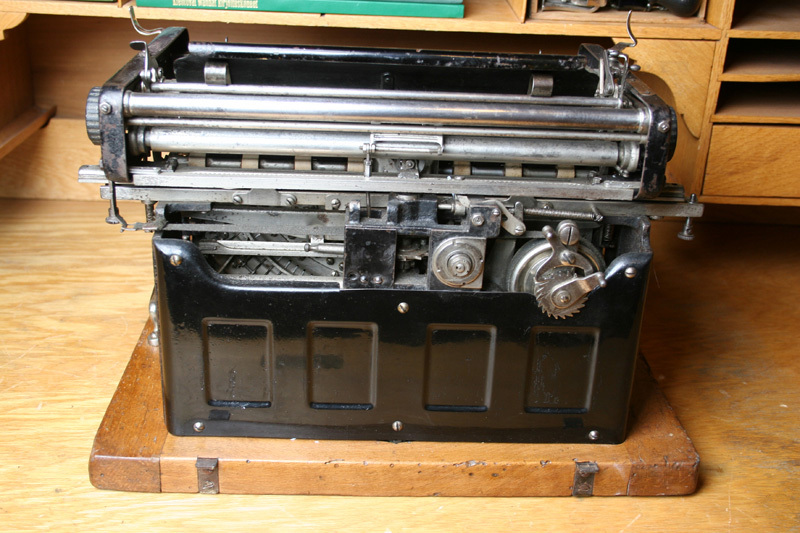 By 1914 four typewriters were produced a day. 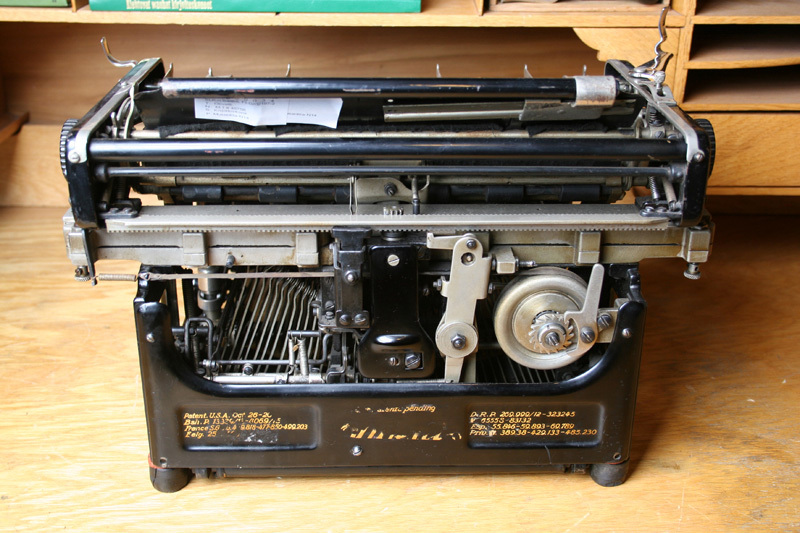 The typewriter had about 3000 hand made parts. 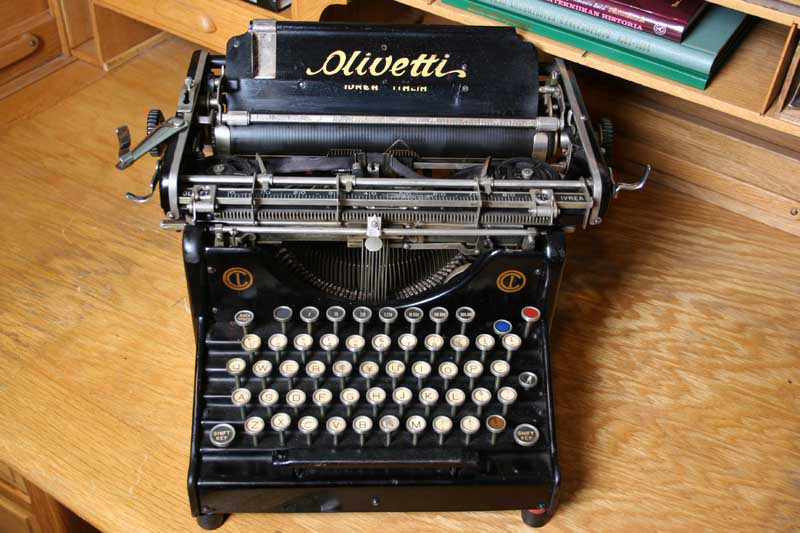 Production of Olivetti M1 continued until 1920 and about 6000 typewriters were made. 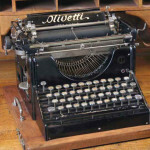 A new model Olivetti M20 was introduced in 1920. These two typewriters look similar. 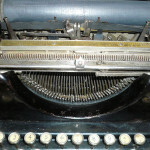 As only a few M1 typewriters are known to exist you have to see both machines in order to separate them from each other. The M1 has no serial number. 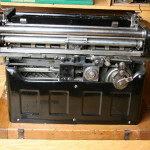 The serial number of Olivetti M20 is on the right-hand side under the carriage. The two first numbers indicate the year of production. From 1926 only the serial number is indicated. 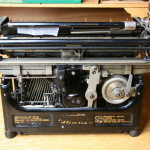 The last year of production of M 20 was 1933 and altogether about 90 000 typewriters were manufactured. 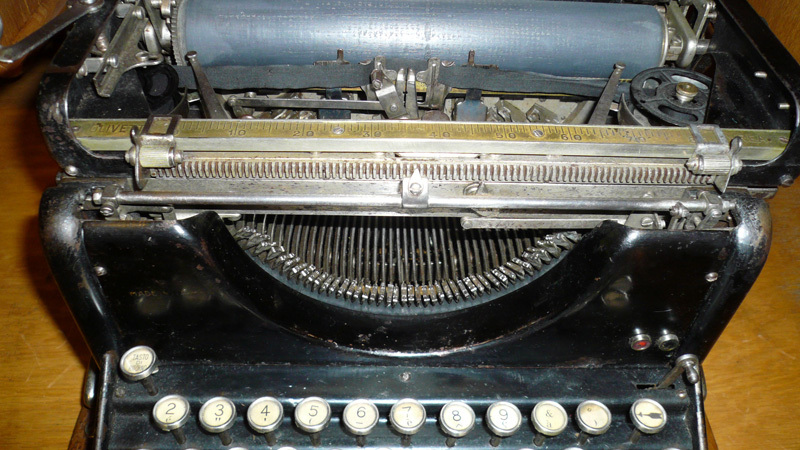 The typewriters weighted about 20 kg. When you compare the pictures you can see the difference between these two models.